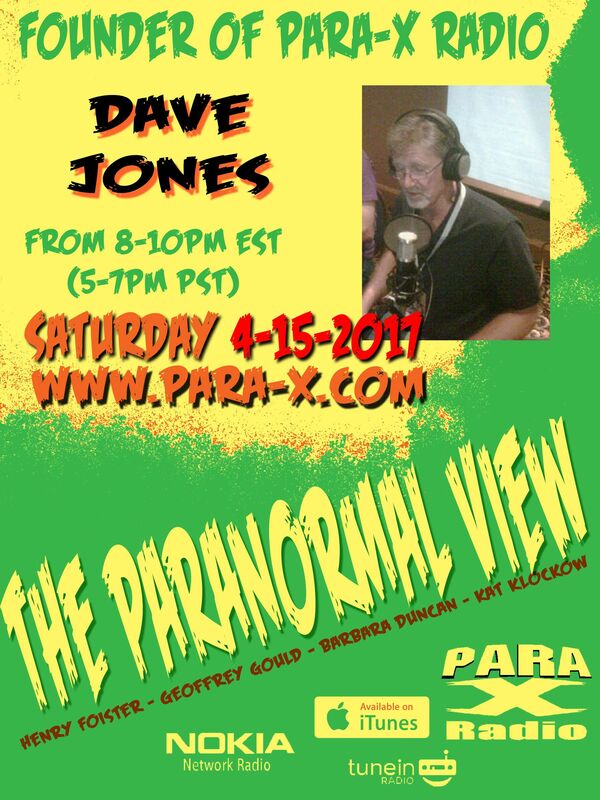 Tponight we welcome special guest, Para-X Radio founder Dave Jones. Henry had him start out how Dave started out speaking of how he got into the paranormal, via his brother Tom's 2006 wedding. He and Tom wanted to return to try and replicated but the venue was booked, so they went to a former asylum and getting EVPs. From there they founded Kentucky Area Paranormal Society, and soon decided to do a radio show, interviewing the owners of Waverly Hills, live. Unfortunately those hosting the server never showed up, The show wasn't recorded, expecting it to air live, but it never went on the air. So they thought if they had Their Own radio station, they wouldn't have that issue, so they founded the Para-X Radio Network. Henry had come along the paranormal on his own, and would go on investiation with Dave Jones, but comically, Henry couldn't catch an EVP to save his life. They invited Henry to host one of their new show, The Paranormal View. Along with Henry, the earliest Para-X hosts included Marla Brooks of Stirring the Cauldron, and Reverend Tim Shaw of The Black Cat Lounge. Henry had Dave discuss "The Demon Brothers." Dave and Tom had acquired a voice sythesizer that deepened their voices to sounding demonic, and they were "interviewed" by Marla on her show, playing these Demon Brothers characters, being hilariously silly. One encore return was Dave as "Bob the Demon." Dave had done live broadcasting from various sites, which Henry has done since. Henry had him speak about their live broadcast at Ft. Mifflin. We only took one break; after which we discussed various fun aspects of Live Radio. Dave spoke about a live investigation at St. Albans, where they'd set up live TV streaming, where a pixelation causing viewers to convince themselves there was a little girl ghost. Off air, via Skype chat, Ceiling Cat Barbara Duncan conveyed our having listeners tonight in the US, the UK, Canada, Singapore, Australia, and Costa Rica. Henry brought on Reverend Tim Shaw, and later Marla Brooks. Marla and I jokingly scolded each other, our each being local to each other, that we still have yet to meet face to facae. Tim spoke about his and Henry's investigations, of the Sorg Opera House, and Mansfield Reformatory in Mansfield Ohio. The two hours raced by as though it was a fifteen minute show. 15 April 2017 The Paranormal View.